RTSea Blog: observations on oceans, sharks and nature: Ocean Institute: SoCal marine educational center where "Experience is the Teacher"
Ocean Institute: SoCal marine educational center where "Experience is the Teacher"
Experience. It can be the difference between knowing something and truly understanding something. For ocean conservation, experience can be the path to appreciation and, ultimately, commitment. You can read about it or watch it on television, but to actually experience the oceans, to roll up your sleeves and get your hands wet with it - that can be the ultimate eye-opener. 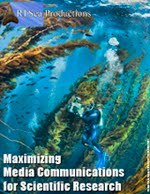 In Southern California's Dana Point coastal community resides an organization dedicated to educating the youth of Orange County through first-hand experience: the Ocean Institute whose motto is "Experience is the Teacher." Located on the water's edge in Dana Point Harbor Marina, the Ocean Institute is not an entertainment or amusement park, nor is it an aquarium. It is a full-fledged marine science teaching facility that offers a wide range of one-day to week-long programs for children starting at age 5 right up through college-age students. The Institute has classrooms and laboratories in addition to a research vessel, the RV Sea Explorer, and two sailing ships including the Pilgrim, a 19th-century brig made famous in Richard Henry Dana's book, "Two Years Before the Mast." Under the guidance of marine biologists, program participants become students of the ocean involved in educational activities from benthic fish counts to water chemistry analysis to sea floor core sampling and more. I recently had the pleasure of meeting Dan Stetson, the Ocean Institute's CEO, who gave me a tour of the facility and talked about its history, its future, and the important role it is taking to trying to awaken science in the minds of students while the nation lags behind many of the other developed nations in the world. RTSea: What is the genesis of the Ocean Institute? DS: In 1977, after the harbor was completed, the Orange County Supervisors approved a Joint Powers Agreement (“JPA”) with the OC Board of Education and five Community College Districts. The Orange County Marine Institute was thus formed and a small parcel of land was set aside for marine science education. Over $20 million was raised to build the Institute’s Ocean Education Center and to acquire its three vessels: the 75’ Research Vessel Sea Explorer, the 118’ schooner Spirit of Dana Point and the 131’ brig Pilgrim. Today, the Institute has approximately 120 employees and 599 volunteers. RTSea: What role does the Institute hope to fulfill both within the community and within the broader ocean conservation community? DS: Educating America’s next generation of young people about the sea and the importance of protecting it and its inhabitants is at the heart of the Ocean Institute’s mission. Our bold vision is to build a better world through education. And last year, despite the current economic challenges, more than 115,000 students participated in our national award winning programs. During these programs the students were scientists, engineers, tall ship sailors and explorers. They were challenged to develop critical thinking skills that would enable them to grapple with real world dilemmas that do not have easy solutions. We have more than 60 other programs; they embrace all academic disciplines. I can sum up what we are all about with three words: Inspiration, Education, and Stewardship. RTSea: In what ways do you feel the Ocean Institute differentiates itself from other marine educational efforts? DS: At the Ocean Institute, we believe that “Experience is the Teacher”. As [Dr.] Bob Ballard would say, “Science is a contact sport!” Our immersive educational programs are so much more powerful than passive reading, video or television. Experience leads to active engagement and appreciation. Each of our educational programs is designed to elicit thought, to encourage questions and to build understanding. For some students, it is their very first time to see, smell and taste the ocean; for all of them, it is an experience that encourages learning -- in an environment that supports asking questions, exploring, searching for solutions, testing theories. Through our programs students are developing their “4 C’s” of Creativity, Critical thinking, Communication and Collaboration: skills mandatory to be successful in the 21st Century. At one time the US led the world in scientific innovation; today that is not the case. This is not acceptable. The Organization for Economic Corporation & Development conducted an international student assessment in 2009. They found that fifteen year-olds in the US rank 17th among peers from 34 countries in science. Countries ranking above the US include Finland, Japan, South Korea, New Zealand, Canada, Estonia, Australia, Netherlands. Only 10% of elementary school students in California regularly receive quality science education; on national science tests, California students scored the lowest, along with students in Arizona, Hawaii and Mississippi . We believe that our future quality of life – as a country and as a planet - depends on making sure that our children have a strong foundation in science and the critical thinking skills necessary for problem-solving. Science is fundamental to students’ education. It teaches an approach to understanding our world which is systematic and specific and yet which holds the potential for great exploration and engagement. In order for us to maintain economic vitality, to remain an innovative technological leader and to find solutions to current and emerging global challenges, we must have a scientifically literate population. RTSea: To develop and/or validate your curriculum, what organizations do you work with? DS: Programs are based on California learning standards so teachers are able to build the trip to the Ocean Institute into their curriculum and supplement instruction with experience. We work with all local school districts as well as organizations such as Scripps Institution of Oceanography, Jet Propulsion Laboratory and others. And we make sure there is plenty of educational support. According to a 2012 study by EdSource, the average student to teacher ratio in California is 30 to 1 or greater. Ocean Institute programs have a student teacher ratio of 12 to 1 or less. This gives kids a chance to get the guidance they need. RTSea: With on-site lab facilities and research vessels, has the Institute been involved in pure research projects, perhaps involving citizen scientists? DS: The Ocean Institute regularly partners with other organizations and during our programs the students become research scientists. They collect and submit data such as fish counts and plankton studies. In addition, the Institute has the students involved in other research programs. One of our most powerful programs is our Watershed Program sponsored by the Miocean Foundation. Every year more than 2,000 fifth grade student scientists develop research projects around their watershed. It begins with the teachers doing in-service classes at the Institute during the summer. Teachers prepare their students for a visit to the Institute where they are taught in our laboratories, as well as on-board the Institute’s R/V Sea Explorer. Topics studied include meteorology, internal systems, water chemistry, water cycle, biological assessments, ocean productivity and research techniques. The students develop a hypothesis about their watershed and collect data over the course of the semester. Some of the research may focus how residents of a watershed are careless in such everyday choices as how to wash the car or fertilize the lawn, which ultimately contribute to pollution on our beaches and harm the wildlife that lives along our coastlines. The Kids’ Conferences in January is the highlight of the program, when the students return to share the results of their studies. Did the data support or refute their hypothesis? What did they learn from this process? The students present their findings to local businesses and public officials, in hopes of encouraging them to be better stewards of our ocean environment. The science conference provides these young people with the opportunity to present the findings of their studies in the program to their peers, with local elected officials and professionals in the field listening in. As with all non-profit organizations during these challenging economic times, the Ocean Institute relies almost entirely on donations and volunteers. The city of Dana Point and the Orange County community have, to date, been able to support the Institute's goals through corporate and private donations and the Institute is about to start construction on a major expansion of its dock that will include more on-the-water teaching stations along with an authentic historic maritime pier. The Ocean Institute also hosts the Toshiba Tall Ships Festival, the largest gathering of tall ships on the U.S. west coast. Southern California's Ocean Institute, like the youth-oriented theme of this year's World Ocean's Day cited in yesterday's blog post, recognizes the power of education and the hope it brings for future generations. 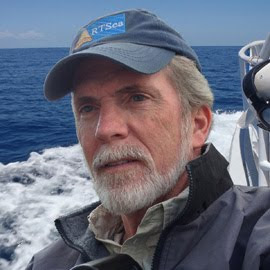 Experience is, truly, the greatest teacher - no matter what the age - and perhaps from the shores of Dana Point will come the scientists who will build upon what researchers are discovering today and carry on their work for the benefit of the oceans and the world. If you live in Southern California, see if your local schools have looked into partnering with the Ocean Institute. Other non-school youth organizations can also participate in some of the programs and the Institute is open to visitors on the weekends.